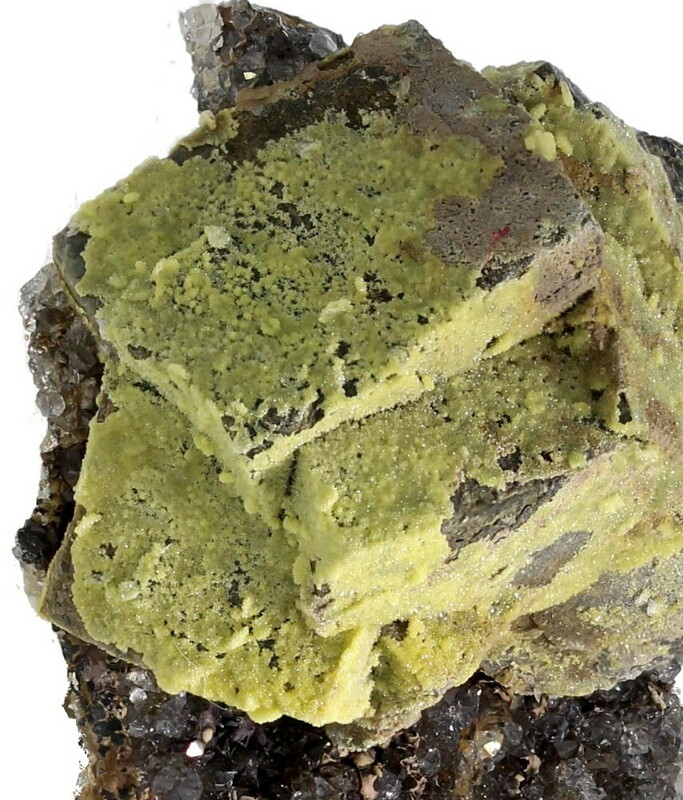 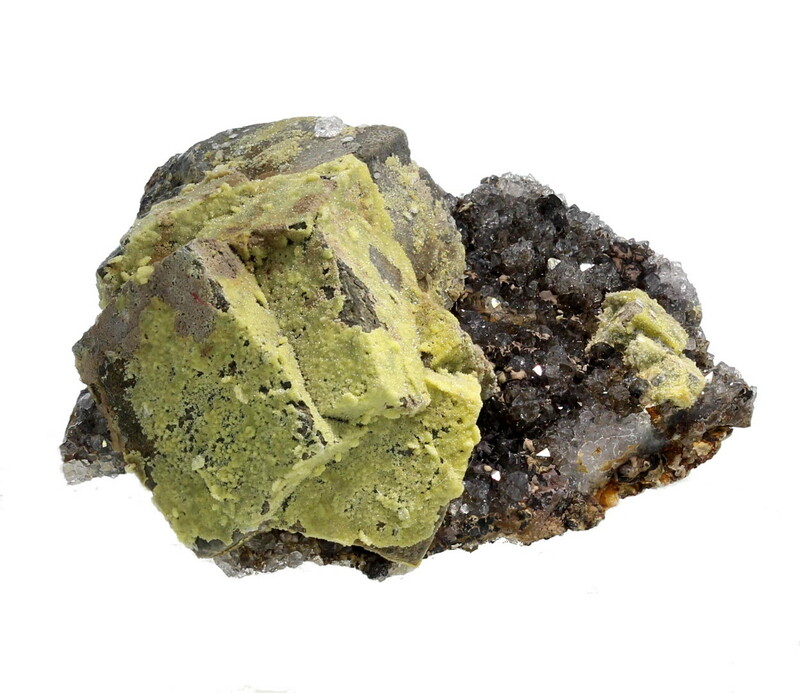 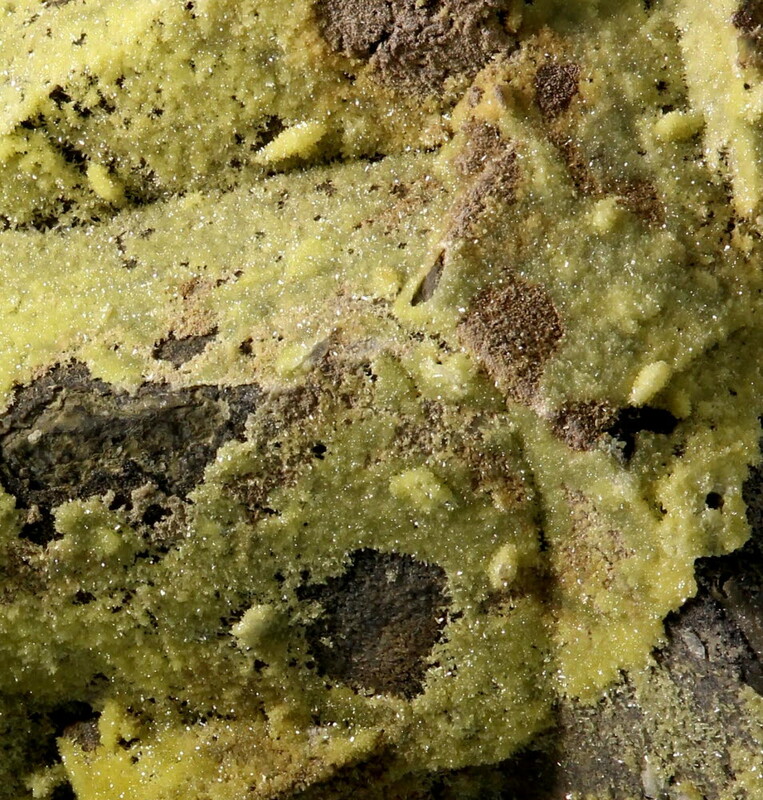 A quartz covered matrix with isolated galena crystals with tiny crystals of baryte, having and altered surface coloured yellow-green by a fine druse of mimetite crystals. 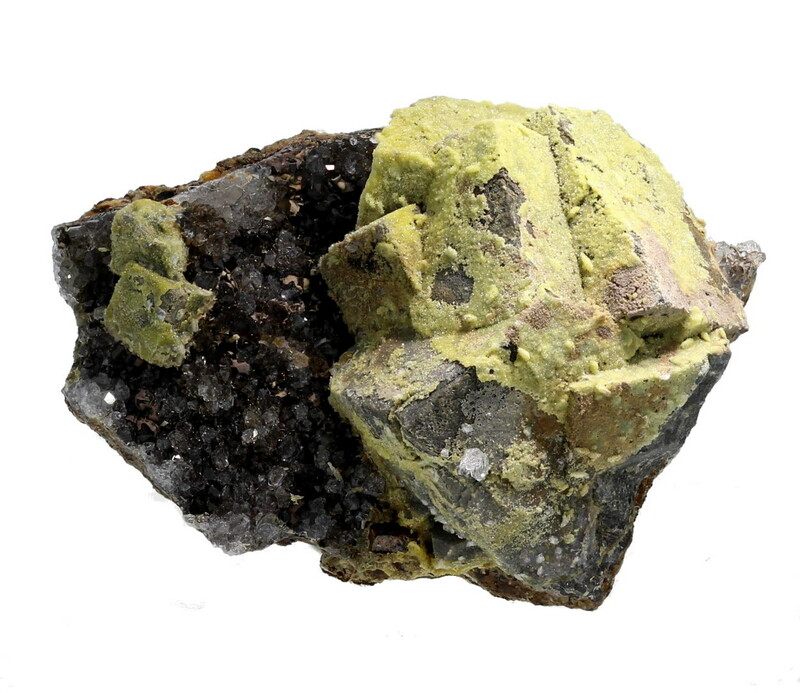 The baryte crystals on the galena create little standout mounds of mimetite. 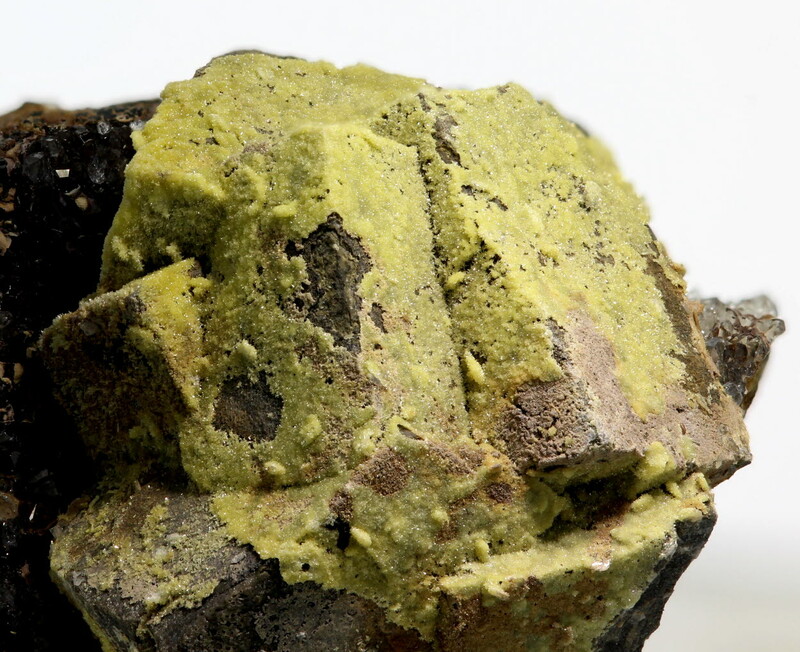 An interesting "new mineral" discovery from Scoredale.